Just weeks after an assemblyman in California introduced a measure calling for an end to keeping orcas in captivity, politicians across the border in Canada are following suit. Two members of the Vancouver Park Board, an elected body which oversees parks and attractions in the city, are calling the removal of captive cetaceans at the Vancouver Aquarium. Park Board commissioners Sarah Blyth and vice-chair Constance Barnes both added their support to growing calls that belugas, porpoises and dolphins no longer be included among the aquatic species housed at the popular aquarium. "I'd like to see whales and dolphins out of our park. Phased out, not brought out ever again. Period," Barnes tells Canada's Global News. "I'm just going to be very forward, once they are dead, they die, when they're in captivity here we bring no more in." According to Metro, the Park Board commissioners received a petition with more than 10,000 signatures calling for an end the exhibiting the animals which inspired them to make their stances public. Both Blyth and Barnes also say that the documentary Blackfish helped galvanize their opinion on the matter. While the commissioners do admit that the Vancouver Aquarium plays an important role in its conservation work, rescuing and rehabilitating injured wildlife, they say that in the case of cetaceans, putting them on display is cruel and outdated. 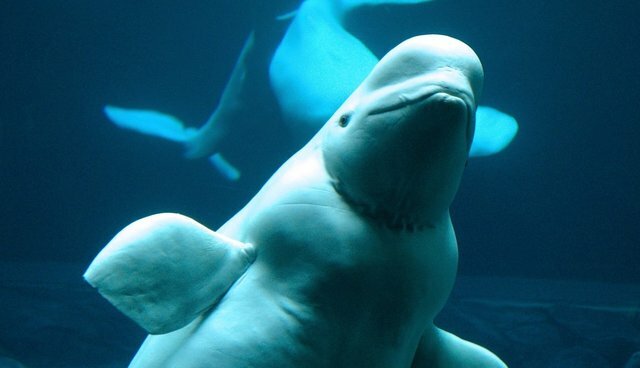 A Vancouver by-law allowing the aquarium to keep cetaceans in captivity is up for review next year.